Our office is pleased to offer Damon Smile braces. 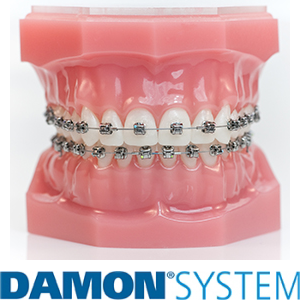 Damon braces use a slide mechanism to hold the archwire, reducing the amount of pressure on the teeth and allowing the teeth to move more freely, quickly and comfortably. They are smaller than traditional brackets allowing a more comfortable and discreet treatment experience. Frugé Orthodontics is a Premier Provider of Invisalign, meaning our doctors have the most experience of all orthodontists in the Baton Rouge area and surrounding communities. Invisalign uses a series of invisible, removable aligners to move your teeth to their desired position. With the ability to remove your aligners, there are no restrictions on what you are able to eat, and you are able to brush and floss with ease! How does it work? To begin treatment, you will have an appointment to digitally scan you teeth for your aligners to be made. 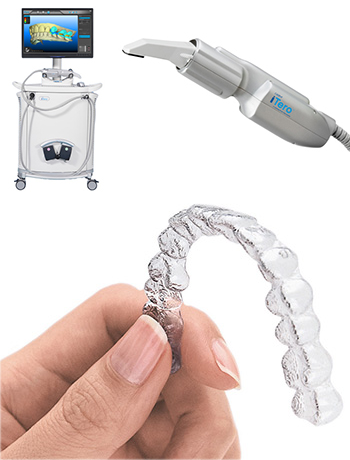 Frugé Orthodontics is happy to offer the iTero Impressionless Scanner in our office, which allows us to digitally capture the shape of your teeth for your aligners to be made without the use of a messy impression material. The iTero scanner gives us the ability to scan more accurately in a more comfortable, faster manner. Each set of aligners is worn for about two weeks, with removal only to eat, brush and floss. Each set of aligners will cause your teeth to slowly shift until they have reached their desired position. If you are looking for faster results on your Invisalign treatment, talk to Dr. Frugé about the possibility of using AcceleDent. 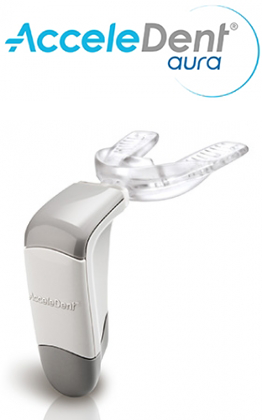 AcceleDent is a simple, hands free device designed for faster orthodontic treatment with only 20 minutes daily use. AcceleDent uses gentle micropulses to allow teeth to move up to 50% faster, giving you the ability to finish treatment faster than normally expected. Elastics (Rubber Bands) Wearing elastics (or rubber bands) improves the fit of your upper and lower teeth. Wear rubber bands as instructed, and remember that the rubber bands work far more efficiently if they’re worn as prescribed. Forsus™ Springs The Forsus Fatigue Resistant Device is an alternative to headgear which promotes growth in adolescents, helping to eliminate excessive overbites, improve the fit of teeth, and possibly prevent the need for jaw surgery. Carriere Distalizer The Carriere Distalizer is used to move the upper molars backwards while moving the lower teeth forward. The combination of these two movements correct a moderate overbite in growing patients. Herbst® Appliance The Herbst® appliance reduces overbite by encouraging the lower jaw forward and the upper molars backward. This fixed appliance is used mostly for younger, growing children and is worn for about 12-15 months. Palatal Expander The palatal expander “expands” (or widens) your upper jaw by putting gentle pressure on your upper molars each time an adjustment is made. Your orthodontist will instruct you about when and how to adjust your expander. When you achieve the desired expansion, you will wear the appliance for several months to solidify the expansion and to prevent regression. Space Maintainer Space maintainers are used in cases when baby teeth are lost prematurely. They work by keeping the back permanent teeth from shifting forward which holds enough space for the remaining permanent teeth to grow in. 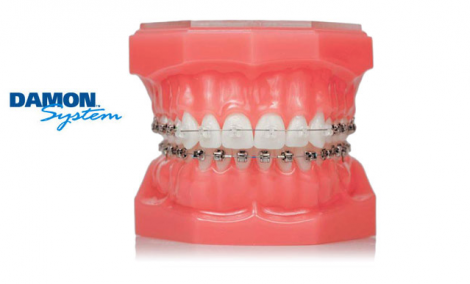 Retainers Retainers may be removable or fixed. They hold your teeth in their new, correct positions after your teeth have been straightened. Your orthodontist will instruct you on how to care for your retainer and about the duration of the wear. Wearing your retainer as directed is crucial to prevent regression of your treatment. Separators or Spacers Separators are little rubber doughnuts that may be placed between your teeth to push them apart so that orthodontic bands may be placed during your next appointment. The separators will be removed before we place the bands. Separators do not mix well with sticky foods, toothpicks, or floss. Headgear Headgear is used to treat patients whose teeth are in an overbite, with the upper jaw forward of the lower jaw, or an underbite with the lower jaw forward of the upper jaw. Headgear gently “pulls” on your teeth to restrict further forward growth of your upper teeth and jaw. 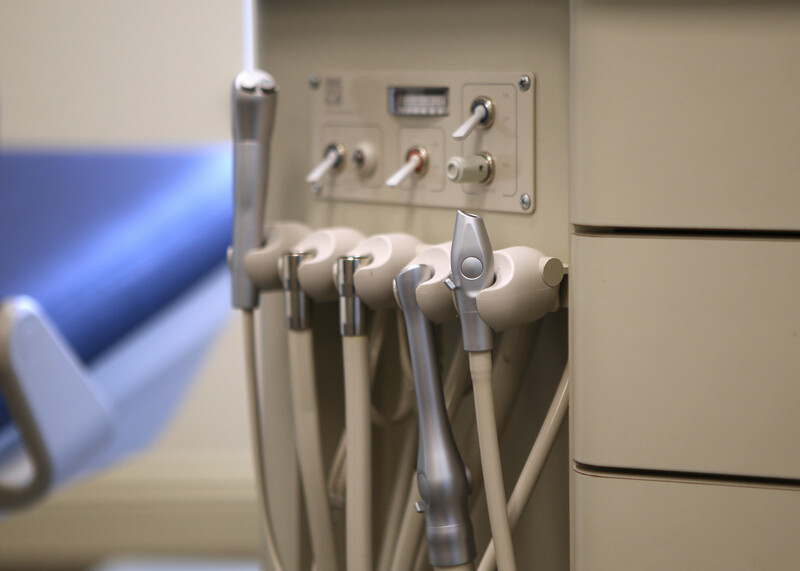 With the use of our in-house CBCT scanner, our doctors are able to quickly and accurately diagnose and create treatment plans for our patients. 3D scanning is necessary to accurately determine positions of impacted teeth. The scans also allow the doctors to view a patients airway volume to help with diagnosing sleep apnea. 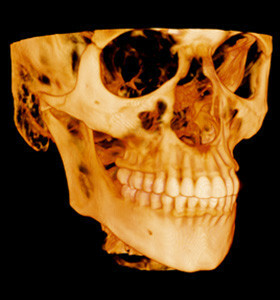 For patients suffering from the common signs of TMJ, 3D scans allow radiology reports determining extent of TMJ pathology.